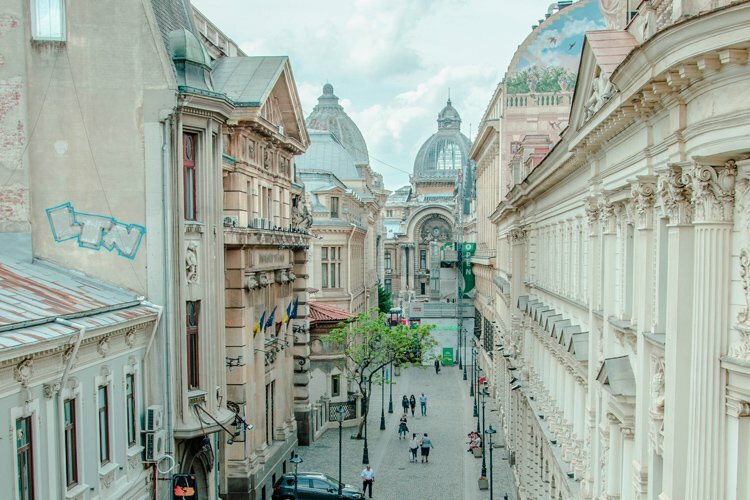 Bucharest is a great city to explore. You can see old and new buildings side by side with a wide range of European architecture styles, edgy street art and hip backyard cafes. However, to fully experience a Romania trip, you have to leave the capital at some point. 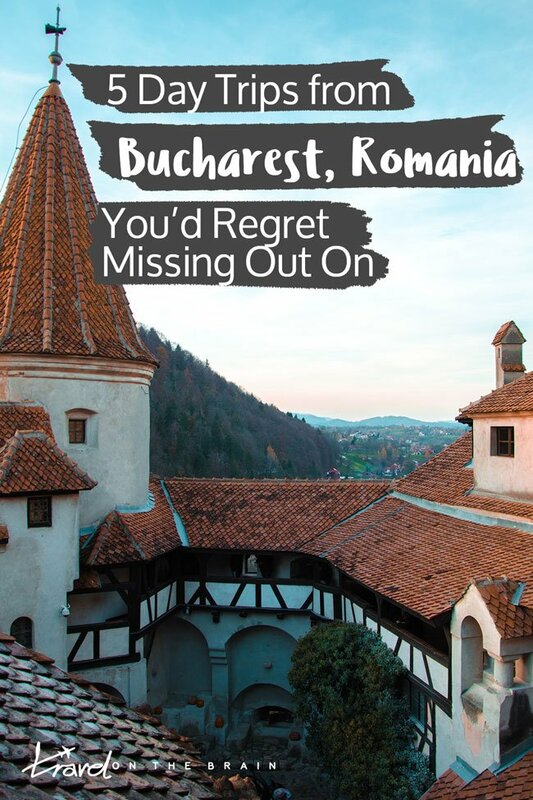 Good thing there are so many options for day trips from Bucharest out there. The only problem will be picking one. 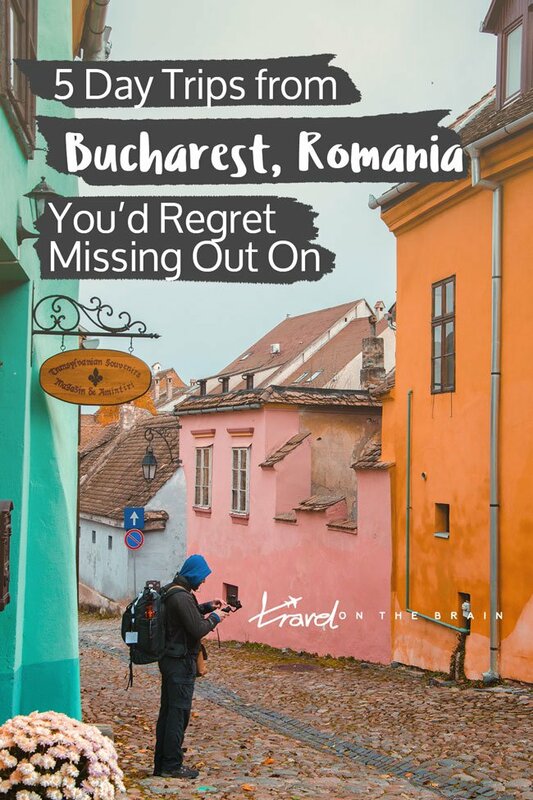 7 Which Day Trip from Bucharest is the Best? Booking a tour is the easiest way as you will have a guide who picks you up and fills you in on all the background information. Even though I am a die hard female solo traveller, I love joining small group tours every now and then. 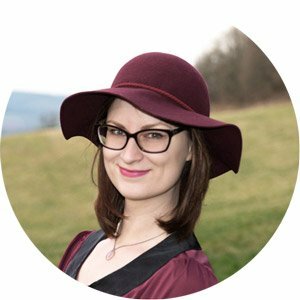 This way, I can mingle with likeminded people, make new friends for the day and just relax. Travelling can be exhausting and this is my version of a break from my regular travel life. For these day trips from Bucharest, there are tons of tours out ther as well. Good news: You can see Romania’s 2 most popular Transylvanian castles in 1 Day on such a tour. 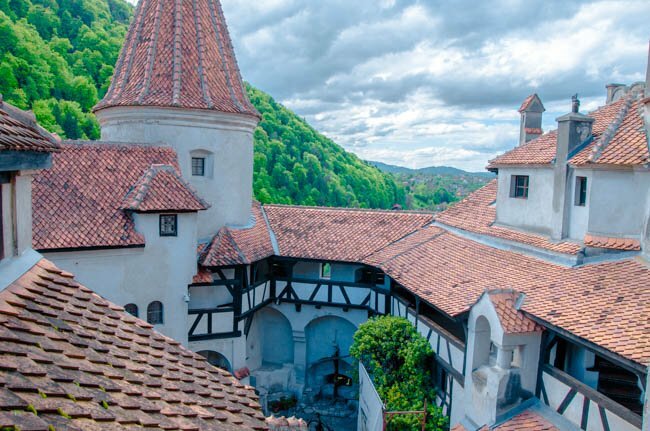 Or book a 3 day medieval Transylvania package tour to have three trips sorted in one go, for example. There are plenty of Romanian castles out there and Peles Castle is by far one of the prettiest. Its Neo-Renaissance style will make you feel as if being straight up in a fairy tale. But that’s not all, there are two castles on the grounds as well, known as Castelul Foişor and Pelișor Castle. They blend in well together though they are not build in the same style and inside, you can roam the many halls and admire the imported Indian teak furniture. No wonder, Peles Castle is one of the most precious royal castles in Europe. Did you know seven cities within Romania were historically Anglo-Saxon? It shows in the architecture and one standout city in this respect is Sibiu. Its buildings are quintessentially German and it even carries a German second name, namely that of Herrmanstadt. 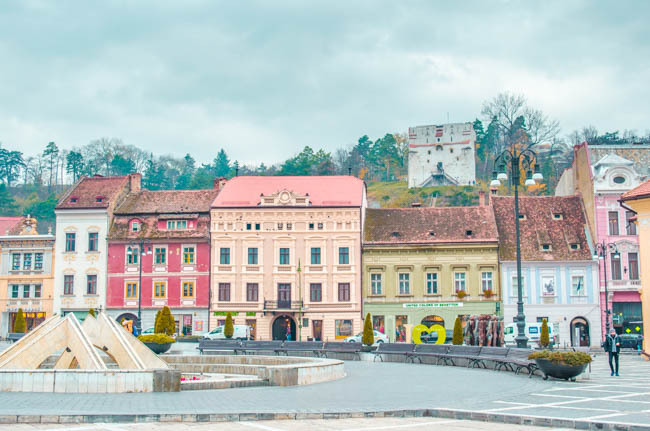 The city lies in the geographical centre of Romania and is particularly known for its well preserved Old Town. During Christmas, you gotta attend the beautifully lit Christmas Market. In summer, plan an outing to the ASTR National Museum, which is an outdoor museum with authentic and traditional houses and handicraft on display. 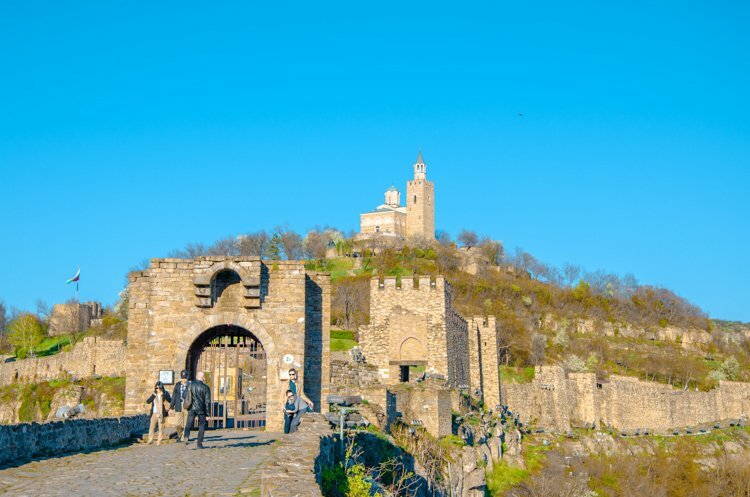 If you are at all interested in visiting a true Romanian fortress and learn more about Vlad Dracula, then this “vampire castle” is it. Actual connections to either Vlad or Bram Stoker’s Dracula might have been under debate, this castle still makes for a pretty good day trip, especially in connection with a stop at Peles Castle. 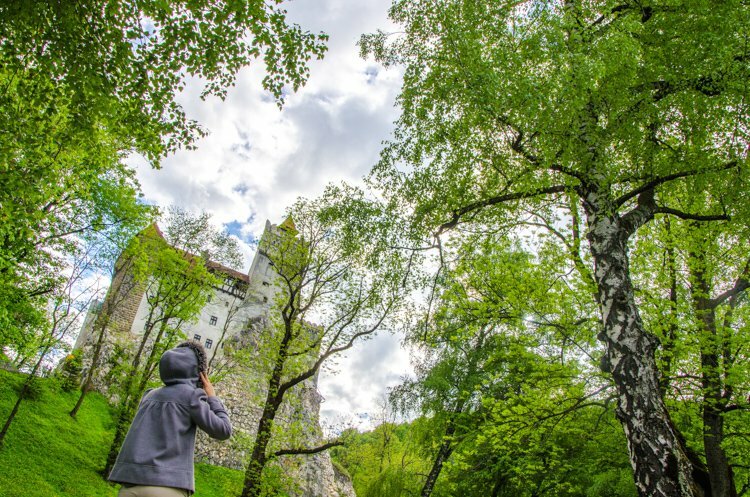 Inside the compact castle walls, you will have grand views over the court yard, its several towers, the surrounding Transylvanian woods and you can learn more about the actual history of Vlad Tepes. Brasov lies in Transylvania and close to Bran and Peles Castle but is worth a visit in its own right. 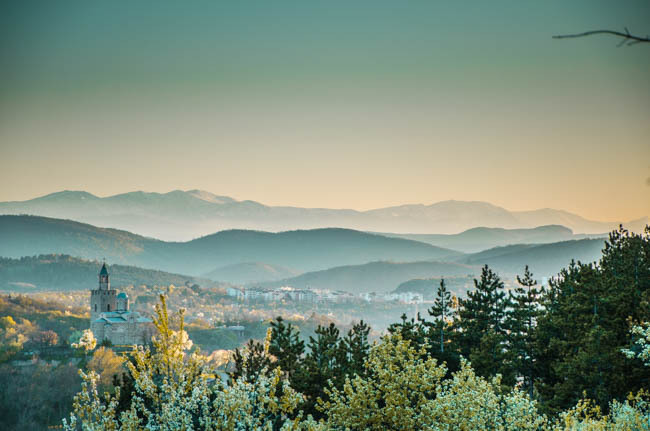 It is surrounded by the awe-oimspiring Carpathian mountains and the city is split in two elevations. On the lower grounds, roam through the old city centre. Here, you can marvel at the old Saxon city walls and in particular the famous Black Church. What’s so special about it is the fact that after it was lit on fire and nearly burnt down, the Maria painting within was still intact, albeit with a slight change. Formerly in royal blue, the holy Maria was suddenly clad in jet black. A miracle! 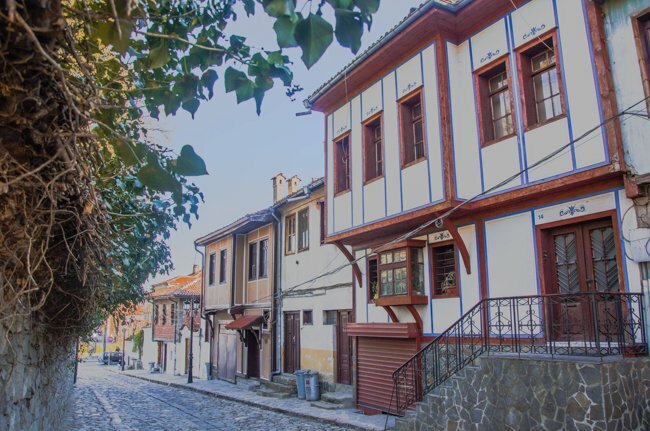 Just across the country borders, you can visit one of Bugaria’s most charming cities. The city of seven hills has been through quite a lot during its history and you can still see remnants of the Roman Empire, such a hippodrome, fortress walls and an old amphitheatre. Walk through its quaint shopping streets, treat yourself to Turkish coffee and sweets at the Mosque and then admire the marvellous sunsets from one of its remaining hills right inside the city centre. Which Day Trip from Bucharest is the Best? 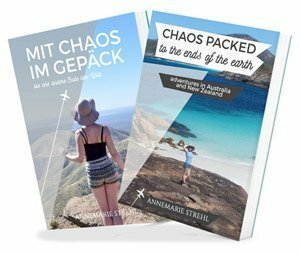 If you have the time, I recommend including all of them into your itinerary. Bran and Peles Castle you can see in one day. 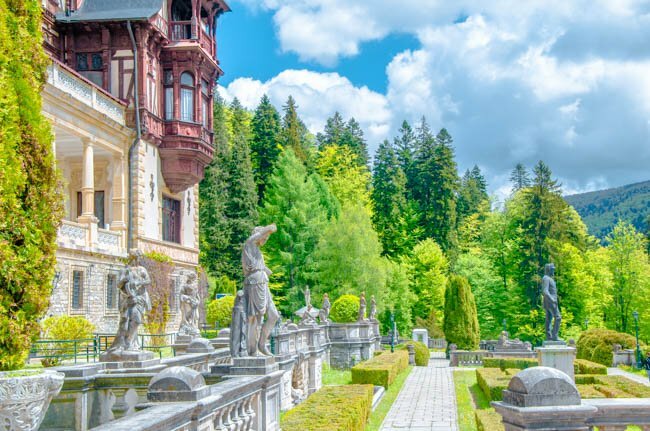 At Sinaia, you can easily spend half a day, both walking around the pretty town as well as going inside local museums and important buildings, such as churches and the townhall. Tell me: Which of these day trips from Bucharest would you choose first? Hi Spring, I hope you can. It really is well worth a visit.